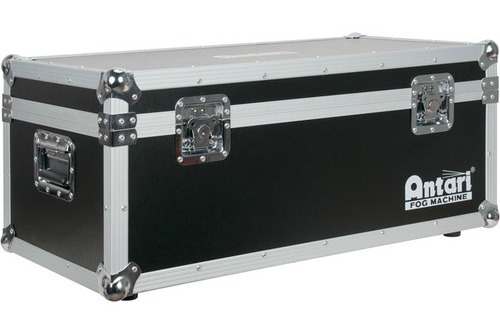 The FX-5™ is a versatile road case designed to transport Antari M-5™, M8™, M-10™, and W-515D™ foggers. The unique design includes an attached hinged top lid with a custom foam wedge that holds all (4) Antari fogger models securely in place. The case has an ABS exterior finish, tongue and groove sealing extrusion, (2) high impact recessed spring latches, (2) spring loaded carrying handles, (8) high impact corners, and (4) rubber feet.